엎드려 기도하고 앉아서 성경읽고 일어나 섬기자! may say they are Christians. because of their family tradition. they think they are Christians. Savior and received eternal life. is what today’s text deals with. Jesus used the word “must” here. who had an authority at that time. came to Jesus during the night. if God were not with him." if he ended up his life on that day. people have in their heart. All religions seek one thing. How can we enter God’s kingdom? what we must put our faith in it. kingdom if we are born again. This is what God does directly. when we are born again. born of water and the spirit again. tells him what he really needs. the answer he could understand. you must know what it is. of Israel according to its context. But God promised them this. land.” It is time to gather them. God says he will do it. if he just gathers them up. because of their sinful habits. that is done though the water. He will give us a new heart. God said they were stiff-necked. was bounced back from them. have a heart of flesh. God promised in Ezekiel 36.
who obey God’s Word gladly. new man, new identity, new soul. with water and the Holy Spirit. my money that I can buy things. from who we were before. Then he asked, “What should I do? we can be born again. that we are familiar with. Some day life's journey will be o'er. “God did it and it was your grace. his grace, I could come here. as we are entering the heaven. is that the Lord is with us always. It is God’s grace that leads us. the pillar of cloud by day. saved and live by his grace. It is the promise of God for us. again is what God does. we have new spirit in us. being born again is this. It is done by the Holy Spirit. with everyone born of the Spirit." Jesus talks about the Holy Spirit. God’s spirit. You cannot control it. he has to do with his authority. That’s what Jesus says to us. our logics, thoughts, and minds. Bang Jee-il as our guest speaker. 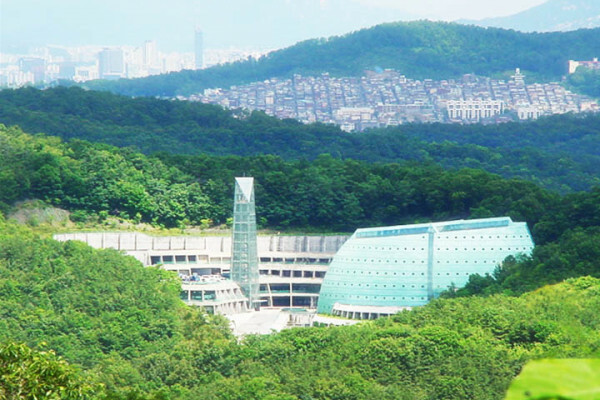 the first seminary in Korea. him and I was touched by his words. Jesus Christ long time ago. he saw the new world spiritually. the tree and bow down before it. I bowing down before this tree? Then he began to believe in God. these kind of simple words? the new life in us. brought a saw out to cut the tree. surprised. They disagreed with him. and cut the tree by himself. the church, wearing white clothes. it is the work of the Holy Spirit. with the power of life. you will find he had a vision. He saw dry bones in the valley. dead because of their sins. There was no hope in them. him to speak to the dry bones. with each other and form. the living army of God. dead spiritually in the past. This is what the Holy Spirit does. and also born again in Christ. by faith. It is our faith. pity on him in today’s text. because he was from heaven. with man’s paradigm and knowledge. emphasized faith in verses 14 and 15. Why don’t you think like this? the frame of square and tells us. all belong to the world. everything in the frame of triangle. through the frame of square? of square with our frame of triangle. We cannot see anything at all. of triangle to the frame of square. and can see God’s plans. works and designs in our lives. believe because we know it. we can know everything with faith. Jesus explained to him much. It is only possible by faith. The concept is totally different. you can’t accept another concept. in the desert in Numbers 21.
and dying. They cried out for help. had to be lifted up. but God didn’t explain why. showed their faith in him. their faith, they could survive. Your faith is the key. Being born again is like this. Then God will do the rest. we all know we will be righteous. God will save us no matter what. He is the object of our faith. no matter how it shakes us. experienced the presence of God?